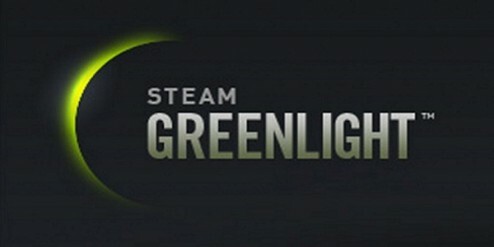 For your consideration, noir horror, epic fantasy, and a dog who just wants to be loved on this month’s edition of Adam Versus Steam Greenlight. Presenting the candidates: The Cat Lady, Yuri Nation, and Lords of Xulima. Click here for The Cat Lady’s Steam Greenlight Page. As a completed and currently available noir point and click adventure game, The Cat Lady is looking to make the jump to digital distribution on Steam. The Cat Lady is a new, gory horror adventure game not for the faint hearted from designer R. Michalski, the creator of successful adventure game Downfall. A gripping story, pumping soundtrack, high-resolution artwork and voice acting will engross you on your journey through the strange and often terrifying world of The Cat Lady. Susan Ashworth, known in her neighbourhood as the crazy Cat Lady, is a lonely 40-year old on the verge of suicide. She has no family, no friends and no hope for a better future. Despite a lack of Oxford commas in the copy, the premise alone sounds fascinating. After watching the trailer, which goes on for about three minutes longer than is necessary to sell me on the title, my only complaint is that I’m not quite sure I would call all the voice acting “high resolution”. The female voice actor, presumably the eponymous Cat Lady, is reminiscent of Kate Beckinsale. However some of the male actors sound a little bit too forced. Of course, this is just a trailer. Perhaps the delivery is better when everything is in its proper context. Also, I sincerely hope the audio balance in the game is an order of magnitude better than what we see in the trailer. Verdict: It has been a long time since I’ve played a good horror game on the PC. For roughly twelve dollars (as priced on Desura) I would be willing to roll the dice on The Cat Lady. Click here to head over to The Cat Lady’s website for more details. Click here for Yuri Nation’s Steam Greenlight page. If a person were to say the name of this game as one word, they would soon discover the M.O. of this particular entry. Expected to release in the fourth quarter of 2013, Yuri Nation is…well it’s a game about peeing on things. Maybe I’ll just go straight to the video on this one. Though the developers talk about drawing inspiration from the likes of Paperboy, Grand Theft Auto, and Mario Kart – all games which I have enjoyed at some point in my life – I really don’t think I’m sold on Yuri Nation’s core concept. I mean, you play as a dog intent to piss on as much stuff as possible as part of a turf war with other dogs. It’s about one diabetic toddler away from being a pitch for a TLC program. I suppose if I was twelve I might be able to appreciate this game on some level. Perhaps I may recommend it to my friend, Chris, as a present for his five-year-old. Though I can’t see his wife approving of the core mechanics any more than I do. But if you manage to find yourself interested in this game, here is its kickstarter page. Click here for Lords of Xulima’s Steam Greenlight page. Finally, we have Lords of Xulima. Expected to release at the end of 2013, this is Numantian Games’ attempt at recapturing the spirit of the late-90s RPG. Lords of Xulima is an isometric, turn-based, single-player 2D role-playing game. It is set in a mythical lost continent called Xulima where the world makers lived in ancient times. The game features a challenging vast world where you will have to command and create a six characters (sic) party in an epic story between gods and men. Question: If the game uses an isometric perspective, is it not still presenting a 3D view? I will say that the exposition in the trailer is a little bit much. There even came a point when the flying text shifted voice between a heroic history and an outright personal narration. Ultimately though, I think there is some potential to this game. If XCOM: Enemy Unknown has demonstrated anything it’s that there is still a market for turn based strategy in today’s gaming world. Assuming the price point on Lords of Xulima peaked at $25, I would probably buy in. Bearing that in mind, my customer and critical expectations for this game will be pretty high. Given an obvious inspiration from the likes of Ultima, Baldur’s Gate, or Planescape: Torment, I would expect Lords of Xulima to get it right on the first try. When standing on the shoulders of giants, there is little margin for error. Head over to lordsofxulima.com for more information on the game. And there we have it. Two thumbs up out of three for this month. Tune in next month when I pull three more games out of the queue and take them apart for your reading pleasure.